The big excitement at the moment comes from the new Solaise TC10 mega-bubble. With its sit-down cabins, heated seating for ten people, and wifi, it is certainly a step up from the 74-year old cable car and the queue-prone Solaise Express quad. 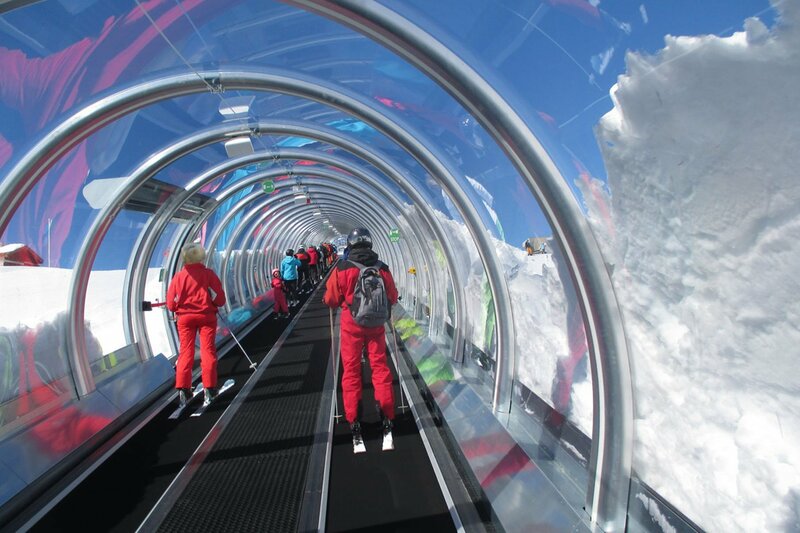 It carries more people, faster, and drops them closer to the rapid Madeleine, Glacier and Datcha chairlifts. And now that a whole ski class and its instructor can go up Solaise together, the top has been turned into a beginners’ area. With good snow guaranteed, beginners quickly graduate to the easy Madeleine piste, then the sky’s the limit! All together, the nine major lifts from Val d’Isère village can take 16,500 people per hour up the various mountains. They include the Olympique (the world’s biggest sit-down cable car), the Solaise TC10, the six-seat Laisinant Express chair lift, which gives rapid access to some superb slopes while sitting with your five best friends, and the high-speed Funival underground funicular from La Daille – still the world’s fastest ski lift. With all these lifts from the valley floor, morning queues, even during school holidays, move quickly. 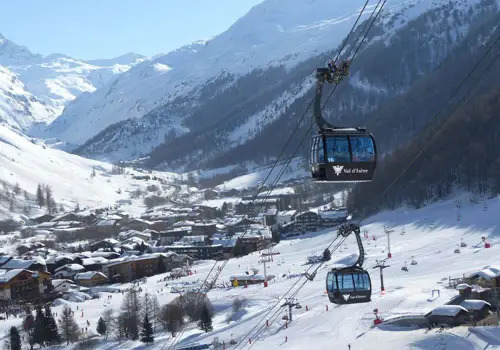 The rapid six-seat up-and-over to and from Le Fornet and the incredible eight-seater to Tignes have also helped reduce waiting time and increase skiing time in recent seasons. Most of Val d’Isère’s lifts are long and rapid, travelling vertically more than horizontally, so there’s a lot of skiing back down for a short trip up. Boffins really notice how well they all intermesh, without bottlenecks or cul de sacs. The hands-free lift passes work very smoothly. The STVI, Val d’Isère’s lift company, runs not only the better half of the world’s best lift system, but also the very efficient free buses, frequent by day and regular until 2.30am. Everybody uses them. With a bus stop every hundred yards or so, walking, particularly in ski boots, is cut to the minimum.